Hire a Medic, Event First Aid, Paramedic Services and hire a Paramedic. We have highly qualified and experienced event first aiders, registered EMT-medics, paramedics and RN (Nurses) to provide safe and efficient first aid and medical services at your event, concert, sporting competition, workplace or public gathering. We also have qualified lifeguards and trained aquatic rescue personnel available for hire. They can work with venue staff in all lifeguard and rescue matters, or establish an independent patrol and rescue service. Ensure that you meet the duty of care to your customers, competitors, spectators or members of the public visiting your site by having us available to tend to the medical needs of your event. 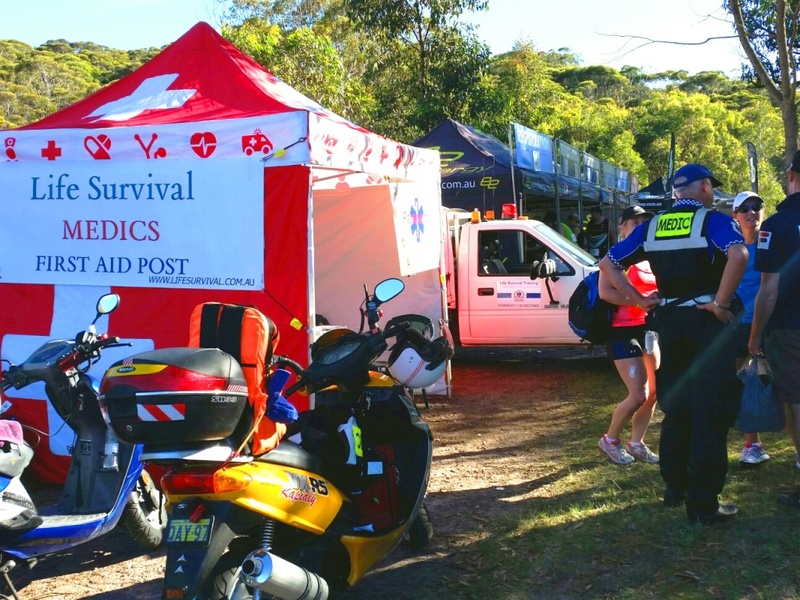 Our medics can cover football, soccer, hockey, tennis, equestrian, mountain bike, BMX, motor cross, 4WD trips and competitions, boat racing and aquatic events with a professional and caring approach. Our medics even have experience in competing in many events, so we have a unique appreciation of your requirements. Our teams can set up a single medical post or be mobile around your venue and full support to event organisers is available. Email us now for a competitive quote. By hiring medics accredited by the Professional Association of Event and Industrial Medics Aust. Inc PAEIMA you are guaranteed of highly qualified and professional medical staff. The perfect addition to any event.